Whether it’s your towing vehicle, the caravan, the motorhome or the camper trailer, having the right tyres on them is one thing. Knowing how to look after them is another. In this article from Bob Jane T-Marts they offer some great advice and tips on how to care for your tyres. These simple step are something that can be easily done during routine inspections, or every time you hitch up and get ready to tow. Not only will they keep you safe while towing, they may also help to keep your tyres last just that little bit longer. Inspecting your tyres is one of those things we don’t do often enough. They are the four points of contact between our vehicle and the road, so why don’t we take better care of them? Learn the seven most important tips to caring for and inspecting your tyres below! 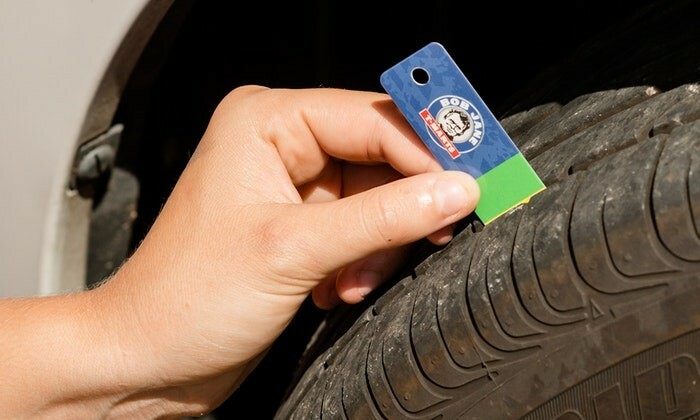 When in doubt, always contact your local Bob Jane T-Marts for the expertise you need when inspecting your tyres. It’s important to keep the right amount of air in your tyres as all tyres slowly deflate over time. Set yourself a reminder to check your air pressure monthly. Ideally, tyre pressure is best checked when they are cold using a tyre pressure gauge. However, like most of us, heading to your local service station or Bob Jane T-Marts to use their free compressed air is another good option. If you do drive to somewhere to pump up your tyres, add 2 PSI or 13.8 KPA to the recommended tyre pressure to compensate for your ‘warm’ tyres. If you’re just using your vehicle for the daily run-around, commuting or general driving, sticking with the recommended tyre pressure is suggested. However, if you’re using your vehicle to tow a caravan or camper trailer, high performance driving or off-roading, you’ll need to adjust your tyre pressures accordingly. When inspecting your tyres for damage, always use a torch. This way, it’s far easier to spot uneven wear and road debris that is affecting your tyres. You will also be able to look around the tread under the wheel arch easier using a torch, rather than just the front-facing sidewall. Before inspecting your tyres, read our guide to uneven wear and tyre damage to learn what to look for! The small metal or plastic caps on your tyres are important in keeping any water or other foreign substances out of your tyres. 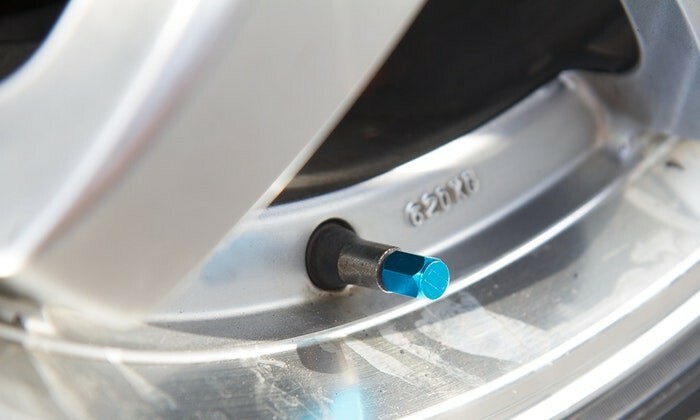 When inspecting your tyres, always make sure that each tyre valve has a cap on it. If you’re missing one, talk to your vehicle manufacturer or visit your preferred auto parts shop to buy a new one. Unless you have hearing like a bat or a seriously large leak in your tyre, most slow-leaks will go unnoticed. The easiest way to spot a leak is by using soapy water. To do this, simply mix dishwashing or car wash detergent with warm water. Then pour part of your soapy water mix over each area of the tyre. You may need to drive forwards or backwards a few metres to rotate the tyres around to check them all. If an area starts to bubble, that indicates there is a leak there. Apart from road debris causing punctures, the tread of your tyre cracking due to old age is another common cause of leaks. Once a leak is identified, switch to your spare wheel and take the puncture to your local Bob Jane T-Marts to be repaired, depending on the leak’s location. For a vehicle to be deemed roadworthy, it needs to have a minimum 1.5mm of tread depth across the tyre. However, once a tyre reaches 3mm of tread depth (double the legal limit), it’s wet weather and braking performance is significantly reduced. So, grab your ruler and check your tread depth or look for the raised tyre wear indicators which indicate when a tyre has reached their maximum mileage and needs to be replaced. 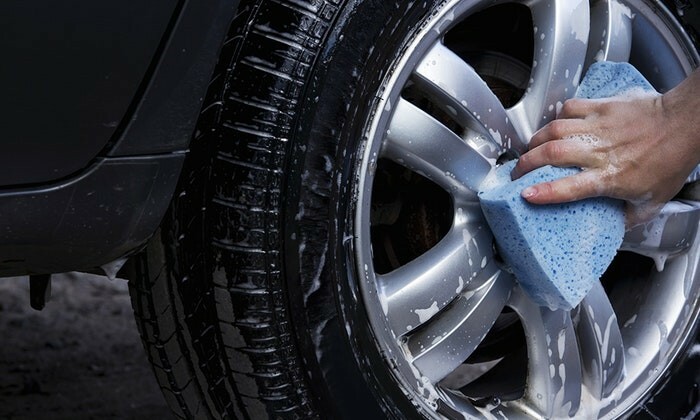 Keeping your tyres clean makes them easier to inspect on a regular basis. So, when washing your car, caravan or motorhome, always give your tyres a quick scrub at the end. Once they are dry, it’ll be easier to find damage and uneven wear when you don’t have to scrape off the mud and road grime from them. To make your tyres look like brand new, applying some tyre shine or gel to them will return them to a near-showroom condition. Now that you know what to do, get out there and take a look at your tyres! Remember, if you are unsure if you have a leak or prefer to speak to a professional about your tyres, contact your local Bob Jane T-Marts today! To make it easy to find your nearest Bob Jane T-Marts outlet, you can use the Free Range Camping App. There are over 100 Stores right around the Australia. Find out how to get your FREE FRC App HERE.